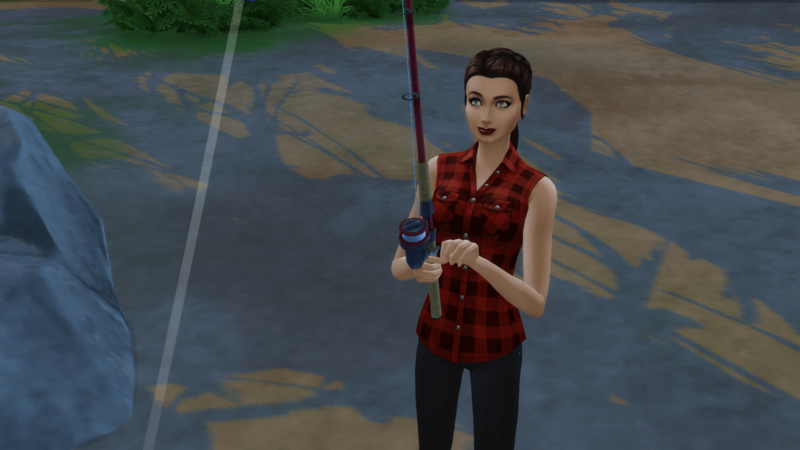 Miranda immediately took a vacation to Granite Falls. 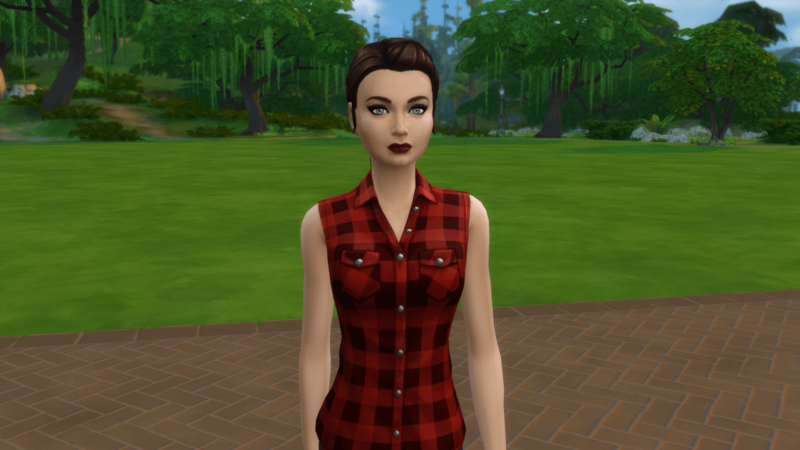 In Granite Falls, Miranda bought a tent, learned to fish, collected herbs and insects and metals and crystals. 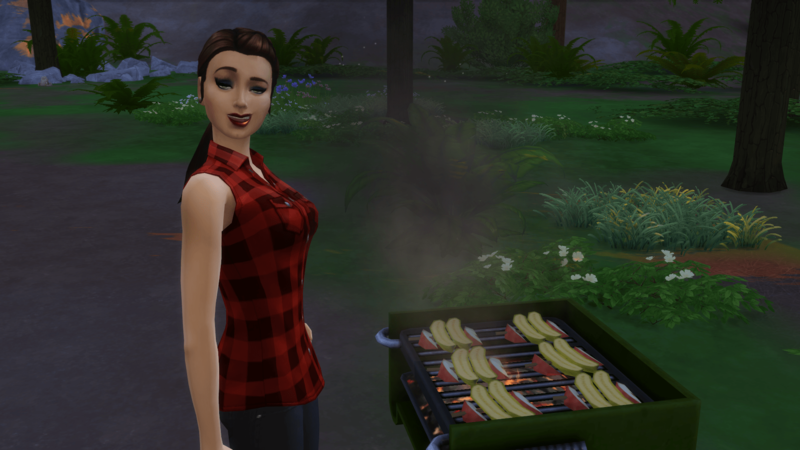 She learned to cook on the grill and learned about herbalism. 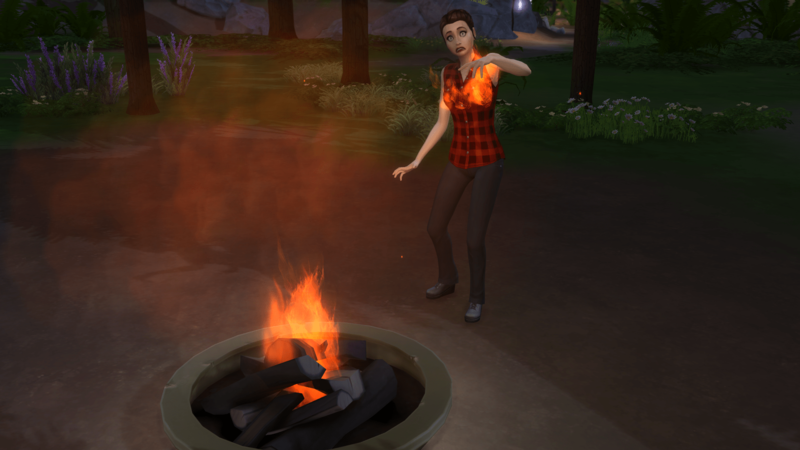 She sets herself on fire lighting the campfire. 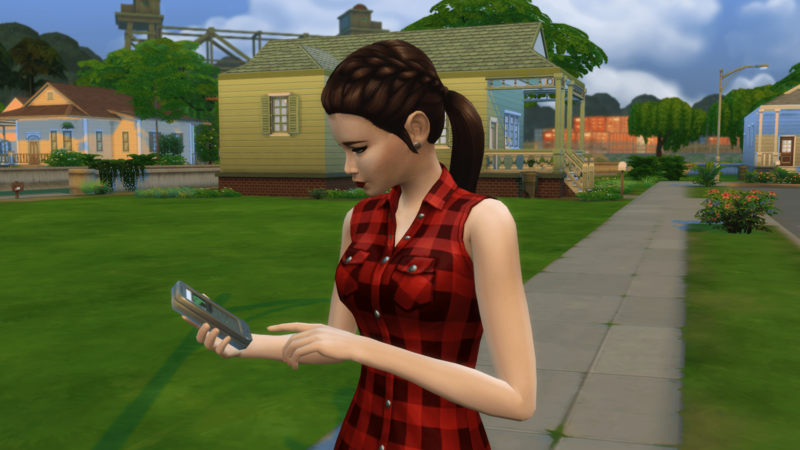 When her vacation ended, she returned to her empty lot in Willow Creek. 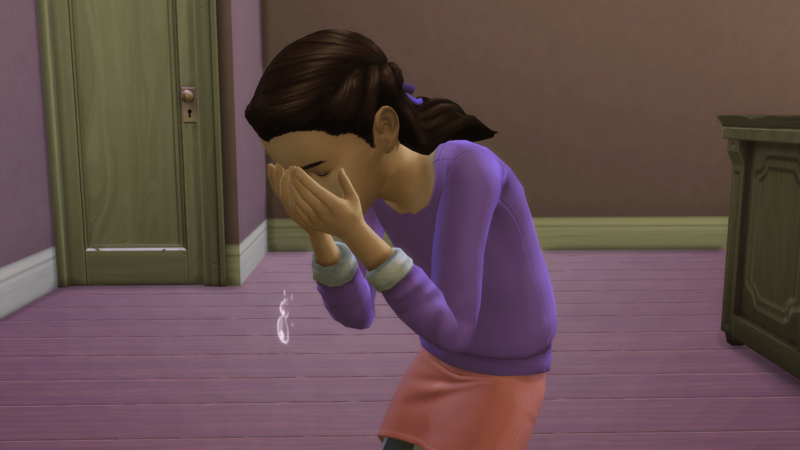 Without a strong need to pee, she headed off to the library, where she met Pelham McManus, the librarian. 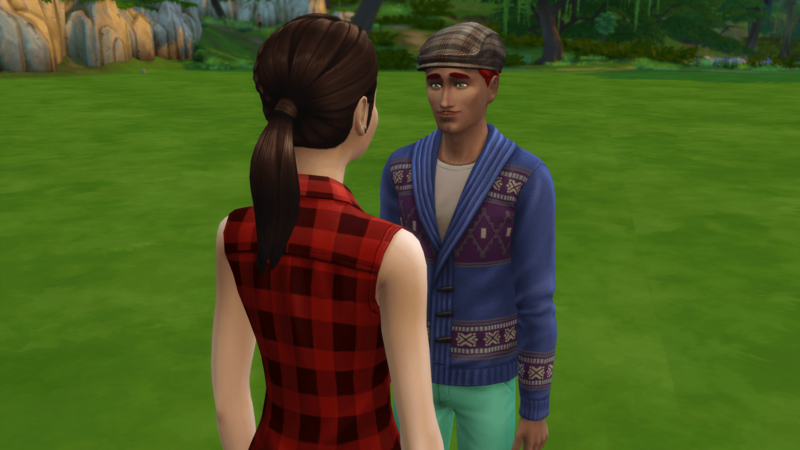 Over the next few days, she and Pelham began to see a lot of each other. With Pelham eventually moving into her empty lot and sharing her tent. Miranda began her career as a Scientist and invented several items, including the Momentum Conserver. 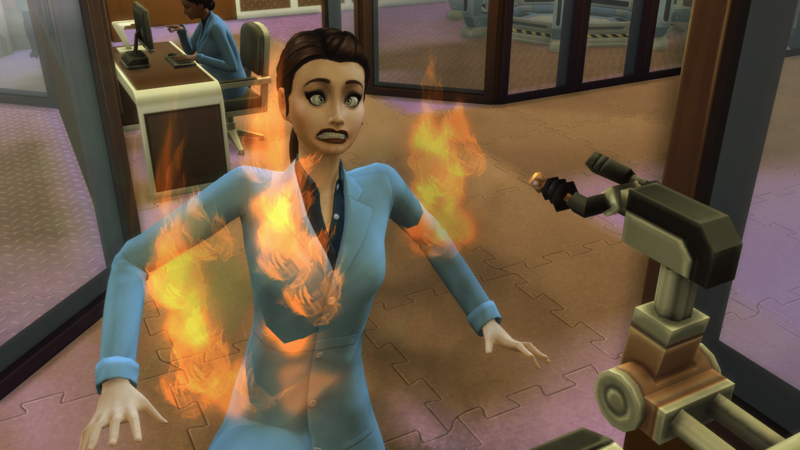 She caught herself on fireworking with chemicals. 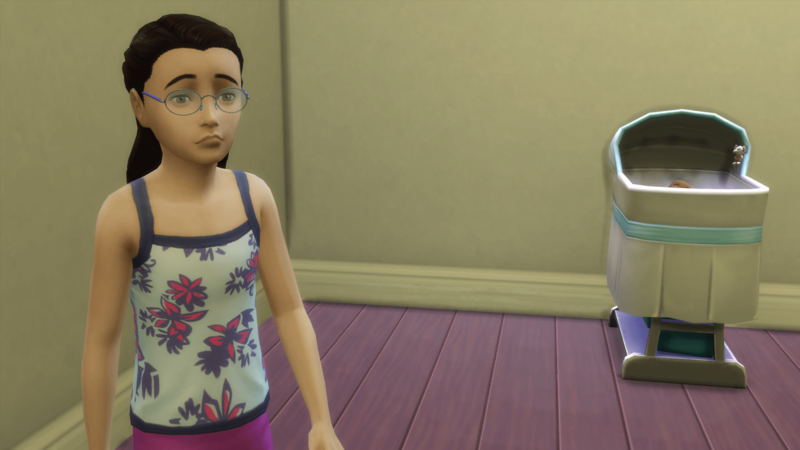 Back at home, she and Pelham finally had a basic little house, with a real bed. Which they could not share since they were not quite close enough. 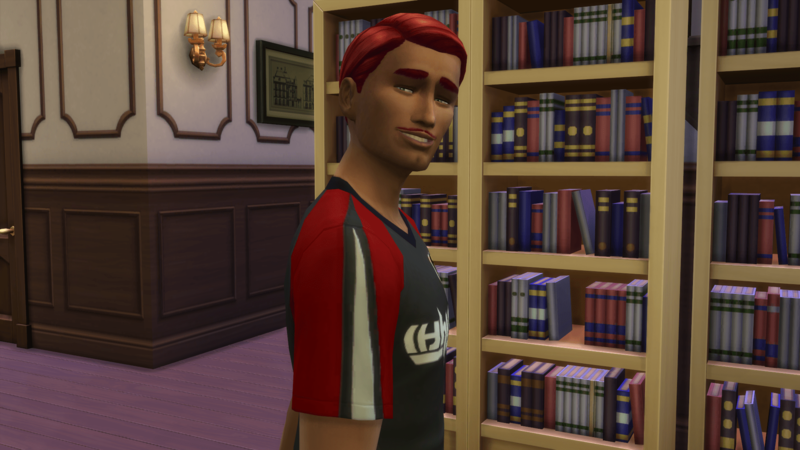 So with sleep on the mind, Miranda worked in some romance and eventually they were willing to share the bed. With the weekend coming up and several days off, Miranda and Pelham went on vacation. 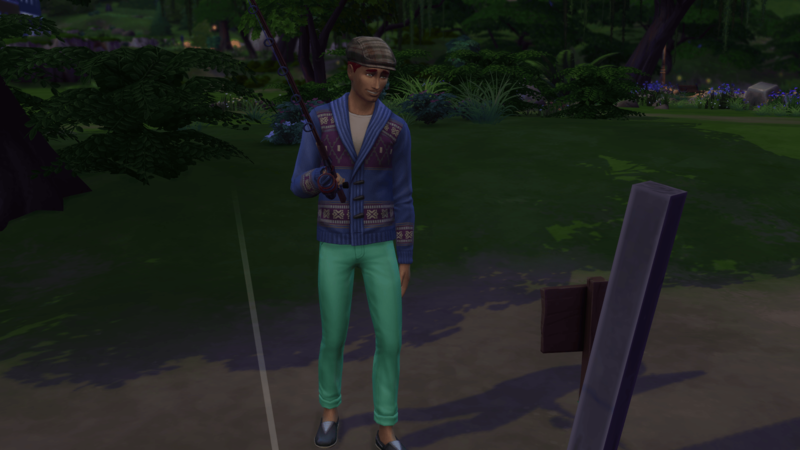 Pelham also had a love of Nature, especially fishing, and needed some quiet time to himself. 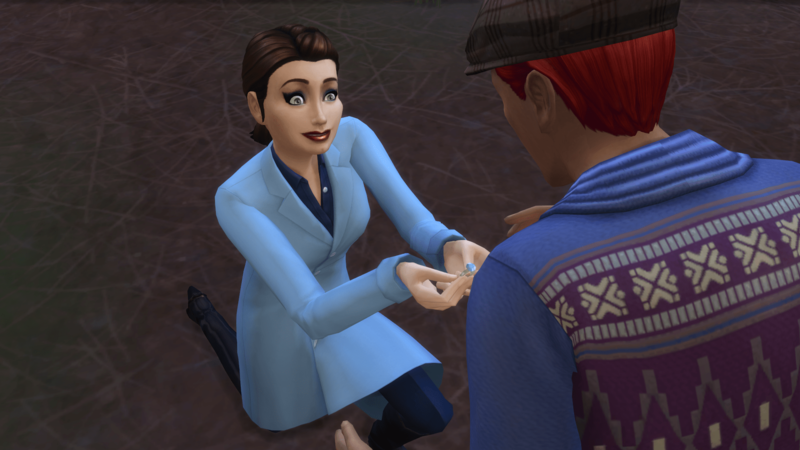 Miranda and Pelham got even closer during their vacation, with Miranda proposing before it ended. 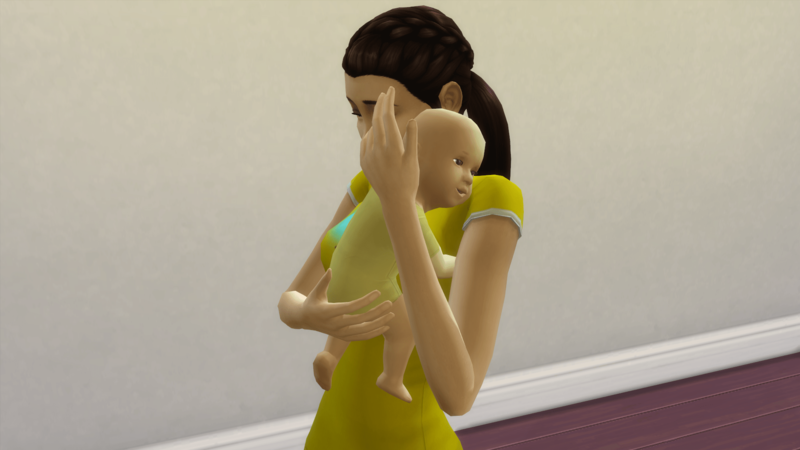 Soon, it was time to add a new addition to the family. Or, maybe two new additions. 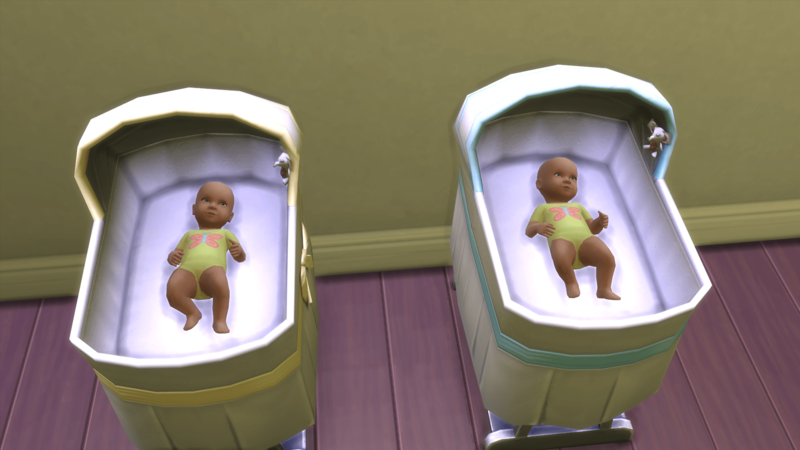 Welcome to the family, Britany and Kaitlyn. 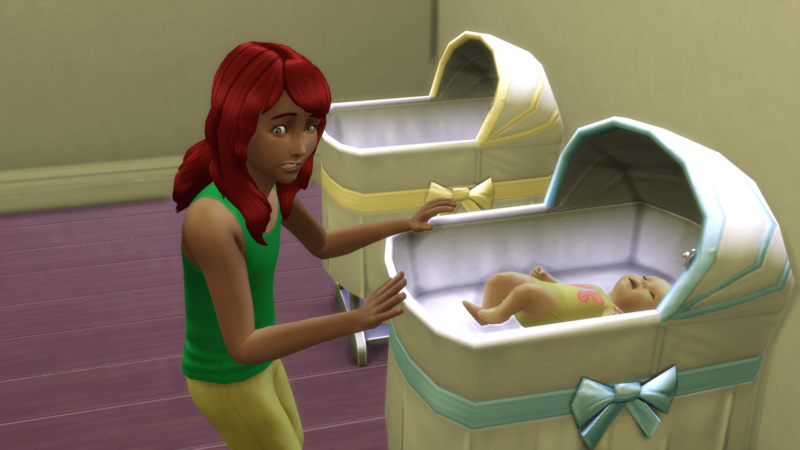 With a self-imposed goal of three pregnancies, Miranda has wasted no time in bringing in the next addition, Stefany. Britany tries to calm Stefany but it doesn’t work out so well. Britany and Kaitlyn work on their homework together to get a head start on their grades. 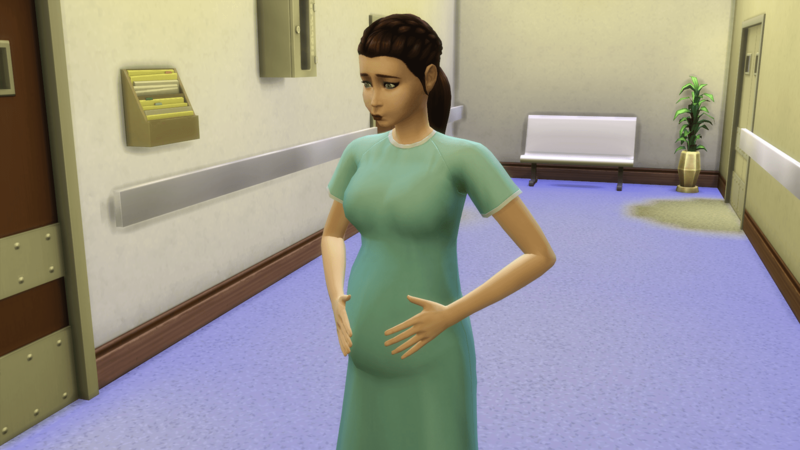 Stefany ages up just before the last baby is born. 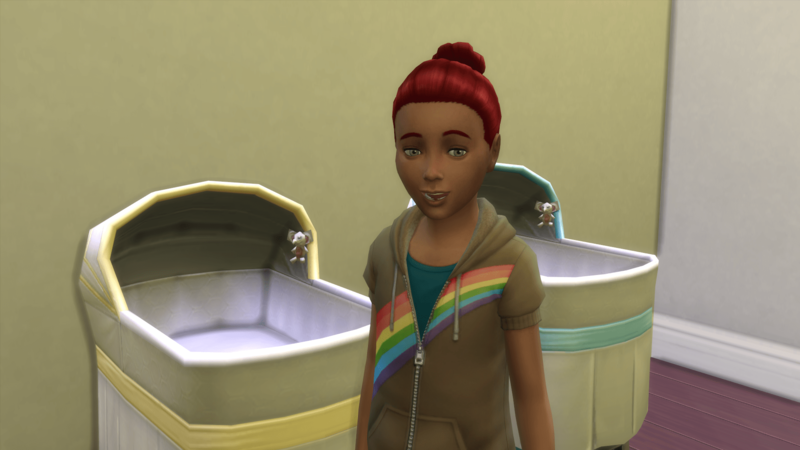 She is Very Sad when Maralyn is born.